It is my great pleasure having been served by you at Quark Fukuoka. Your service is exceptional. More importantly, your friendly attitude and product knowledge are remarkable! 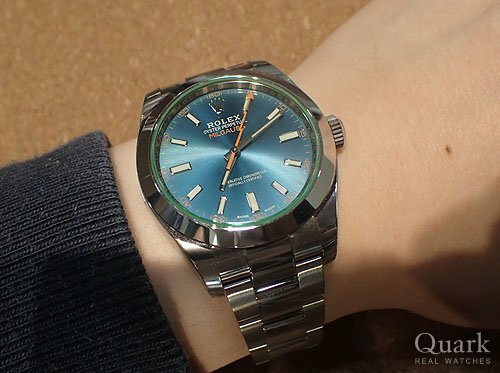 Your choice MILGAUSS is a Rolex color green crystal glass is very good. And it is a beautiful model of orange accents on the dial of blue. Please use it carefully in future. Please come by me when you come to Fukuoka next time.